Mother of the Bride, have you or your daughter heard of Blueprint Registry yet? I just recently happened upon it so it may be new to you as well. And if so, this may be something your daughter and her beloved may be interested in. 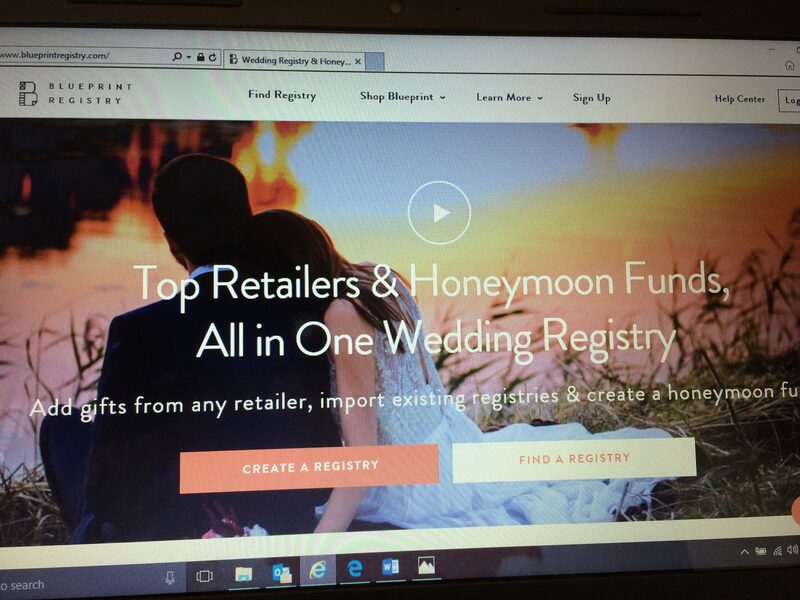 Blueprint Registry is an online registry that allows a couple to add gifts from any retailer as well as import existing registries and also create a honeymoon fund/cash registry. It has a unique blueprint approach where couples shop/register by room and guests can then see how and where their gift might be used in the couple’s home. I haven’t talked with anyone yet who has personally used it, but it’s getting rave reviews from industry leaders. And those endorsements are easily seen on the home page. MOB, I encourage you to hop over to Blueprint Registry’s website and take a look. I’ll list some of the links to specific info so you can find what you need as easily as possible. Be sure to share this post with your daughter. Blueprint Registry could be just what she and her hubby-to-be are looking for! *You might also like to read Wedding Registry Roundup.